Mining is a major economic activity in Newfoundland and Labrador. The most important mineral is iron ore. Several other minerals are also mined in the province, including silver, gold, lead, copper and zinc. Major mines in Labrador are the iron ore mine at Wabush/Labrador City and the new nickel mine at Voisey’s Bay. Iron mining in Newfoundland began on Bell Island in the 1890s, but ceased in that area in 1966. A new mine at Duck Pond (30 kilometers (18 mi) south of the now-closed mine at Buchans), started producing copper, zinc, silver and gold in 2007. In recent years, oil production from offshore oil platforms has expanded rapidly. In 1979 the Hibernia oil field was discovered in the Grand Banks region about 310 km (190 mi) off the coast of Newfoundland—the first major oil discovery in Canadian coastal waters. The production of oil from a platform at Hibernia began in 1997. A second offshore platform, at the Terra Nova oil field, began operations in 2001. A third offshore facility began production in 2007 at the White Rose oil field. 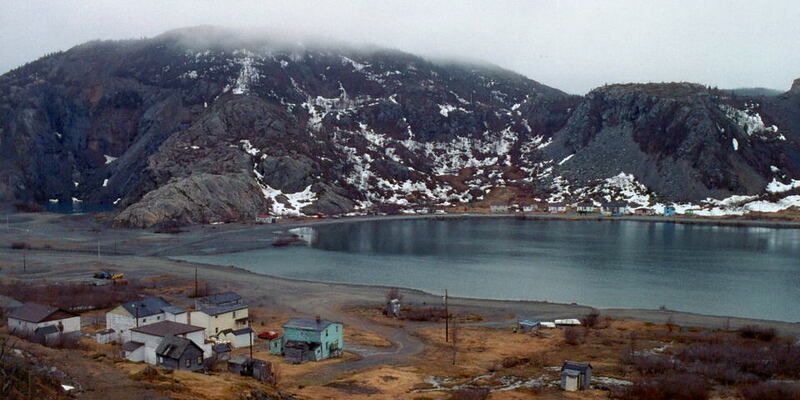 Settled around 1813 or earlier, Tilt Cove was a tiny fishing settlement with a population of about 25. In 1857 Smith McKay discovered rich deposits of copper ore and in 1864, in conjunction with C.F. Bennett, began mining operations. In 1916, the population peaked to 1500. 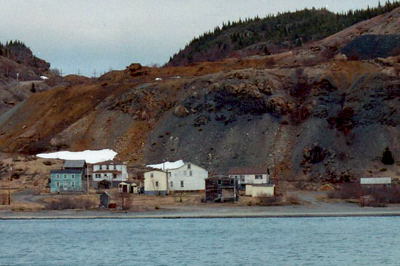 In 1892, the "Newfoundland Colonist", a newspaper, described Tilt Cove as "the leading town in Notre Dame Bay, with the sides, top and bottom of the mines being one solid mass of copper". In 1920 the mines closed and the population dropped to around 100 and remained that way until the mines reopened in 1957 and Tilt Cove experienced a re-birth. In 1967 the mines closed down never to re-open and today around 8 families live in Tilt Cove. Copyright © 2003-2019 Edwin Neeleman. All rights reserved.